With over two decades of background in the disaster recovery industry, the Cotton brand of companies has been instrumental in providing emergency facilities and food support services in the midst of hurricanes, environmental mishaps, and other natural and manmade incidents. In the aftermath of a hazardous event, special precautions must be taken to protect the life, health, and safety of all individuals participating in the response. Cotton Logistics and Cotton Culinary personnel hold various OSHA trade certifications, carry Transportation Worker Identification Credentials and are trained in the Incident Command System. 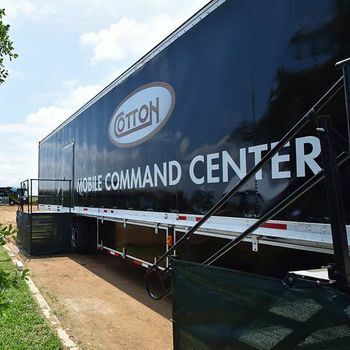 Our teams have extensive experience operating within a unified command response, having received training through the certification process, live exercises, and providing support for actual disaster response events. All local, state, federal, and maritime regulations are strictly adhered to and personnel maintain proper personal protective equipment at all times while on the jobsite. 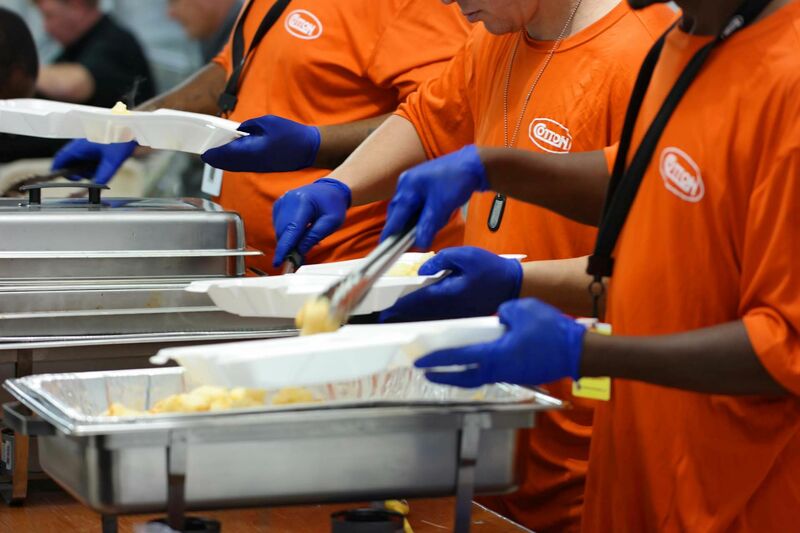 Cotton Culinary understands the fast-paced and complex demands of disaster situations and that any delay in business operations means lost revenue for our clients. Our teams have the ability to respond to multiple events simultaneously, and rapidly begin operations to provide critical services. 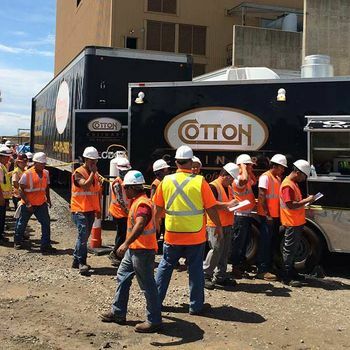 From catering and temporary facilities to labor, project management, and restoration services, Cotton’s specialized divisions can provide comprehensive and turnkey solutions for any disaster. When critical infrastructure and resources aren’t available, Cotton Culinary can support any size operation with temporary and mobile assets including self-contained kitchen trucks, climate-controlled tent structures, and an impressive fleet of vehicle and equipment custom designed for rugged environments. While capable of conducting a quick assessment, and mobilizing resources to an event on short notice, we understand that proactively developing a site-specific strategy mitigates loss and gets people back to work faster. We encourage our clients to take measures to safeguard against accidents and have protocols in the event the unexpected occurs. Working in conjunction with other Cotton divisions to develop contingencies for a wide variety of events such as hurricanes, spills, or turnarounds, Cotton Culinary can tailor an emergency response plan specific to our client’s business and property. Restoring business operations more efficiently through planning and predetermined procedures minimizes downtime and can have significant impact on the overall recovery.